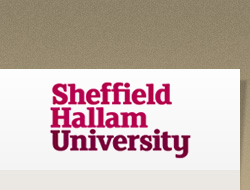 The Design4Health conferences have developed out of the work that researchers in Lab4Living (an initiative at the Art and Design and Health and Social Care Research Centres at Sheffield Hallam University) have been doing over the last 5 years. Researchers have been exploring the relationship between design, and health and wellbeing. We believe that good design can deliver widespread benefits to society but how can design practice and processes meet the challenges of health and wellbeing in the 21st Century? Through the Design4Health conferences and publications we aim to develop environments and propose creative strategies for future living in which people of all ages and abilities ‘not merely survive’ but are enabled and empowered to live with dignity, independence and fulfillment. 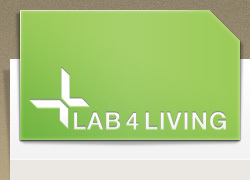 The Lab4Living has a core team of inter-disciplinary researchers and ‘end users’. Researchers come from gerontology, physiotherapy, occupational therapy, design, social research, engineering and industrial design. Lab4Living has established an extensive network of participatory bodies and ‘third sector’ partners, and works with partners from academic, health and industrial sectors. You can find out more at the Lab4Living website. The first European conference on Design4Health was held in Sheffield in July 2011 and, building on its success, we were delighted to host our second conference in July 2013. We are also hoping to develop a new journal plus other events and publications. If you would like to speak to a member of the team about how you could get involved, please contact us. For up-to-date information about Design4Health events and publications, join the conference mailing list. Lab4Living has been awarded a SHINE fund from The Health Foundation to implement and measure the impact of the spinal injury design workshops. People with neck muscle weakness are set to benefit from improved designs of neck supports thanks to Lab4Living designers and their partners.